Co-Optimus - News - Furious 4 Gameplay Footage Leaked, Then Removed. Furious 4 Gameplay Footage Leaked, Then Removed. Gearbox cannot keep the truth hidden! It's been a weird path for Furious 4 ever since the E3 announcement in 2011. Starting out as a Brothers in Arms game before spinning off onto its own IP, then going dark sometime last year, Gearbox has been pretty quiet about their upcoming four player co-op Nazi shooter. It looks like they intend to keep it that way. 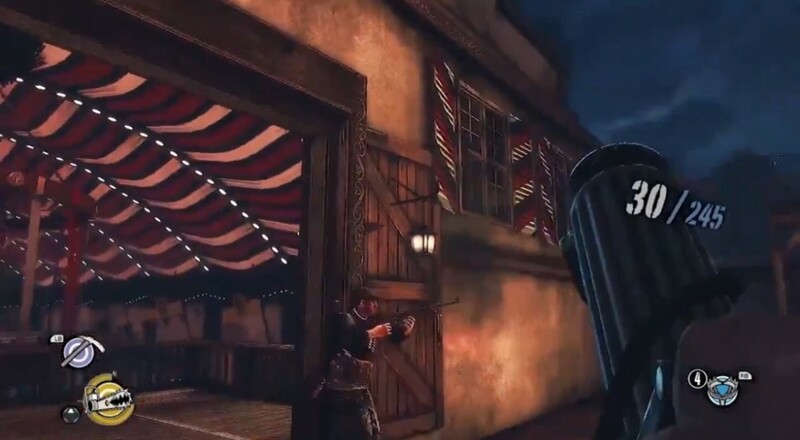 A video of alleged gameplay footage found its way onto the internet via a Demo Reel from special effects artist Nick Peterson, before those info tyrants at Gearbox tore it down. Of course, in this bold new age of information technology, it's really hard to keep some stuff under wraps. Granted, this is a man's video resume we're seeing here, so there is also footage from Borderlands 2 and Aliens: Colonial Marines. In case you might be confused, Furious 4 is the first game shown, with the jetpack Nazi and the the exploding Ferris wheel. This is hardly indicative of the quality of the finished product, as Gearbox has yet to even secure a publisher for Furious 4. Sure, the game looks like dumb, fascist-slaughtering fun, but the long development time and lack of official information is concerning. Gearbox has a fairly negative reputation when it comes to games which have been in production for ages, and I would hate for anyone to endure another Aliens fiasco. The only concrete information we possess is that the game is a first person, four player co-op shooter with a cast of colorful characters. A new Borderlands where you hose down Nazis instead of bandits might be a welcome bit of revisionist history. Those eager to stomp Axis skulls across 1944 Europe will need to wait until Gearbox decides to provide us with more info, though I wouldn't hold my breath for an expedient release. Gearbox's Brothers in Arms: Furious 4 is "Evolving"